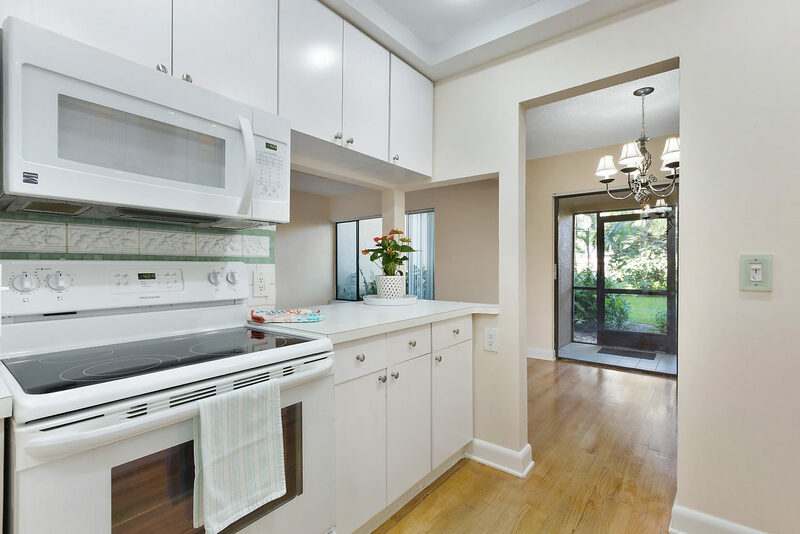 This updated home offers over 1250 sq ft of living area with custom features including: renovated kitchen with newer appliances (1 year old or less), artisan tile backsplash and premium wood cabinetry with glass inlay doors, crafted oak wood flooring on first floor. New laminate flooring in all bedrooms, travertine marble and lighted onyx sinks in both bathrooms as well as built-in cabinetry and Jacuzzi tub, walk-in closet in master bedroom, freshly painted interior, recessed lighting with engineered dimmer switches throughout. Enclosed outdoor space overlooking lush garden views perfect for entertaining year round.